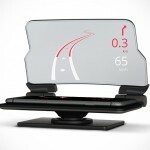 head-up display, though developed as far back as the 80s, is a rarity in automobile. its existence is usually reserved for expensive or newer cars. 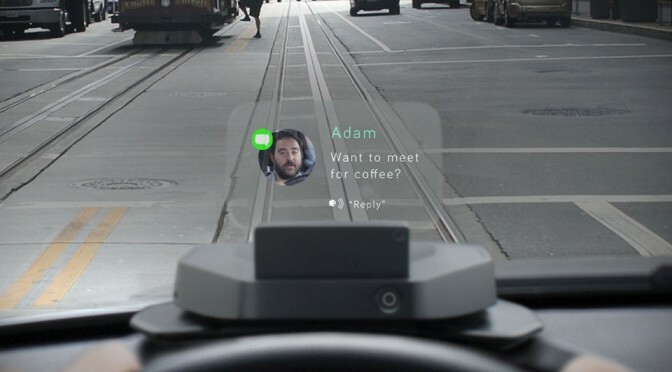 what happen if you want a piece of this advanced technologies on your existing ride? well, there is Navdy. 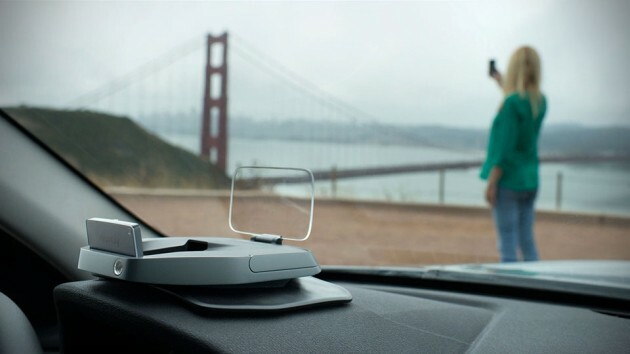 Navdy is a portable Head-up Display, which works somewhat like Garmin’s, but with more functionality packed into it – thanks to the integration with your Android or iOS phone. 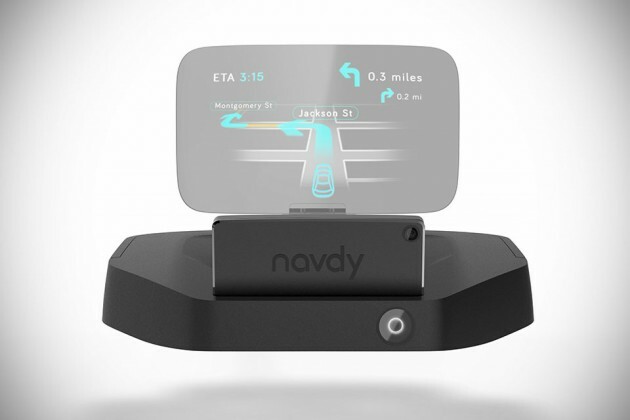 what Navdy does is to port your smartphone experience to the HUD, beaming information and notifications from your smartphone via a tiny projector to a 5.1-inch wide transparent HUD, so you don’t have to take your eyes off the road. 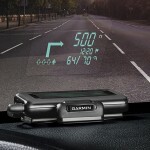 it is a dash-mounted device and plugs into the vehicle’s onboard computer via the OBD II port, which is found in cars made since 1996. since it is hooked up to the car, Navdy can also serves up information such as speed, RPM, fuel economy stats, battery-voltage warning or any other diagnostics your car computer has to offer. 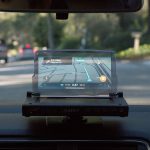 it will of course, offer turn-by-turn navigation and displays just about any notification your phone can display, including incoming calls, texts and more. basically, you dictate what and when appears. it’s your call. everything is executed through voice and gestures, which means you can compose tweets or text messages like you are doing with Google Voice or Siri, and take, reject calls or dismiss notifications simply by swiping left or right. in nutshell, Navdy wants you to keep your eyes and hands where they belongs. best of all, it is portable, so when you change car, you can easily migrate it with you. sounds like a dream come true, huh? personally, i would think so. perhaps, because i used to have an old ride that actually has a factory-installed HUD. it was pretty cool, even though it only displays the speed, but it was a huge advancement considering that the S13 was a 89′ JDM model. yes. 80-ish and to think that decades later, HUD is still not widely adopted is really puzzling. in any case, there was a ‘flaw’ with the olden HUD technology though; it don’t work well under bright sunlight, but i guess Navdy won’t have such an issue, if the claim of “40 times brighter than an iPhone or Android phone” holds true. 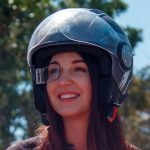 Navdy is taking pre-orders now where you can secure one for a special price of $299 for the first 30 days. after that, it will set you back at $499. shipping is expected to happen in early 2015. click past the fold for a product intro video with a sense of humor to learn more and of course, be entertained.